Make your journey easier and pre-book an airport transfer with us! Book a comfortable and safe ride from Vienna airport (VIE) to the city centre or the other way around. Select the category that suits you best - quality car or business car. We work with a very reliable provider who uses top quality vehicles. 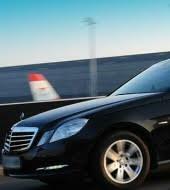 The airport transfers will take you from Vienna Airport (VIE) directly to your hotel. Price is all inclusive, there is no extra cost and it is for up to 3 passengers. The price is for the whole vehicle NOT per person.